Since its birth in 1910, Japanese company Hitachi has grown and succeeded its expectations – becoming one of the largest industrial companies worldwide. Hitachi has remained committed to developing advanced technology, investing in research and development for its products. Hitachi supply a large variety of systems across the globe, from large models fit for any sized industrial job, to sleek compact domestic air conditioning. With Reliable, efficient and high-quality systems in Hitachi’s extensive range, you are guaranteed quality reassurance. Each product is thoroughly tested for your peace of mind. There is something for every space, from domestic conservatories to multi-story offices. 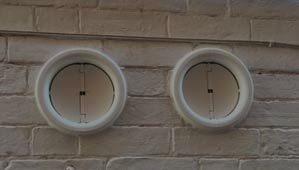 RAC, Room Air Conditioning, offers split systems for domestic and light commercial purposes. 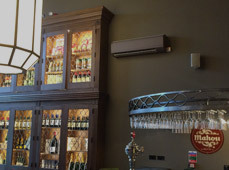 With systems varying from the Summit standard wall mount, rated up to 7kW, to the sleek designed Shirokuma premium wall and floor mount to the award winning S-Series and MonoMultizone single and multi-split series, which work in harmony with any wall, floor, cassette or ducted indoor unit type. RAC can be installed into central control systems, as well as BMS interfaces of the Utopia and Set Free ranges. No outdoor space to spare, listed building or restrictive covenants? With Utopia Centrifugal, you can bring the outdoors, indoors. This Condensing unit is ideal where your external space is limited or planning restrictions are in place. Hitachi’s Utopia range consists of high specification in both single and multi-split systems and a variety of compact to centrifugal duct types. Utopia minimises piping work, with zone by zone operation and capacities ranging from 12.5kW to 25kW, allowing for discrete systems. Hitachi’s Set Free systems use VRF, Variable Refrigerant Flow, and allows for a mixed combination of system free indoor units. The Set Free range holds a number of features that are unique to Hitachi. Including wall mountable outdoor units, space saving design and temperature control with no cold draft while also offering high efficiency. Thanks to KPI energy recovery, Hitachi’s ventilation system uses celluloid heat exchange to transfer temperature and humidity – perfect in environments where stable humidity is essential. Hitachi’s ventilation systems offer airflows varying from 250 to 2,000 m3/h. Better still; its low noise level means the whole office can concentrate without a rattling, background sound distracting them from their work. With the high percentage energy recovery rate of 78%, it provides an exceptional fresh air supply to any indoor environment. The systems simple design means no more fiddly maintenance job – granting direct access to all the systems components. Hitachi’s Domestic Heating systems are air-to-water pumps, and are available as either Yutaki M or Yutaki S and Yutampo. Hitachi’s heat pumps use air as its source for an economical and environmentally friendly option, compared to traditional heating systems, by producing more heat in comparison to the energy they use. Due to Hitachi’s own twin screw compressors, their Samurai chiller range offers great reliability and is strong enough for any commercial or industrial environment. Hitachi’s twin screw compressors are famously known for both its efficiency and reliability, while also maintaining low vibration and noise levels, without affecting the high power factor. The RAC (Room Air Conditioner) controller range offers several options for optimum control in a large variety of environments, from infra-red simplified hard-wired options to seven day time clock options. For simplicity, you can control up to 13 indoor units with a single controller. It is even possible to control up to 160 indoor units and 64 control groups with a Hitachi ‘Control Station’. Connecting a H-Link interface allows the range to be interfaced with the high specification system free control controller and BMS interfaces, including the CSNetsWeb, for easier control of your environment. This System Free range is compatible with Utopia and Set Free systems, with an option for any installation.